The Dream Lover opens in 1831, when twenty-eight year-old Aurore Dupin leaves her husband and children behind at her home in Nohant in the French countryside and moves to Paris, where she assumes a male identity and writes her first novel, publishing it under the name George Sand. The book then explores the events in her past that led up to the schism, as well as the experiences she had living as George Sand. Berg's Sand is a woman who both revels in and chafes at domestic life-- she loves her children, but feels that she can't accomplish her artistic goals when she's mothering them. The conflict between motherhood and freedom has been explored so much these days that it's almost a cliche. It's something I live every time I sit down at my laptop-- if I'm writing or editing, I'm not reading to my kids. If I'm out at night with friends, I'm not kissing them goodnight. But I would imagine that Sand's struggle felt more novel in her day and age, especially as she chose to live separately from her children for at least half of the year. I enjoyed the passages that showed her struggle, as well as those from her childhood (she was the daughter of a courtesan and the grandson of the king of Poland, which provided very fertile ground for cultural conflict), much more than the passages in which she tries to "find herself" (mostly sexually) in her late twenties and thirties. 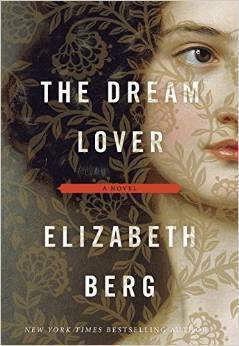 I'm no prude, and I know The Dream Lover aims at verisimilitude, but Berg definitely chose to center her narrative on the bed jumping years rather than the elder statesman years.